Max CPU Cooler Height. 1500 RPM (Fan without Adapter) 1200 RPM (with L.N.A.). 140.00 x 150.00 x 25.00mm (with 120mm mounting holes), 140.00 x 140.00 x 25.00mm (with 120mm mounting holes), 120.00 x 120.00 x 25.00mm. Crazy good cooling. The best air cooler on the market in my opinion and Ive used a more than a few of them as water cooling makes me nervous. 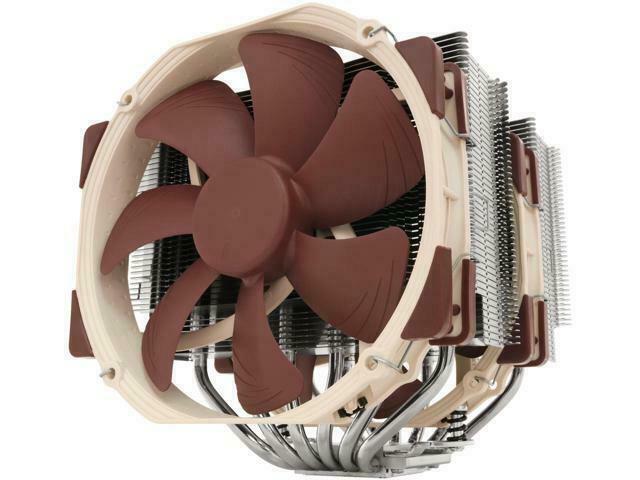 The price is the only issue but you can absolutely feel and see the quality plus you get 2 noctua 140mm fans, which, lets face it, are the best fans. Make sure you have room, and I recommend installing last. The heat sink is huge and will make installing other components and wiring very difficult. Very quiet and powerful. Unsurpassed ~ Nonpareil ~ COOL ! !